©Barry Sandland/TIMB – Classic lines belong to the past, it seems. Photographer’s notes: I was puttering around Ghent over the weekend and came across a display of the buses that have criss-crossed the region over the past decades. Why is it that the oder buses have all the charm? Today, buses are squared off and functional, with large doors and wide movement. But the older buses have the curved lines, the style and panache that has been beaten out of a modern world. They have noses that h0ouse engines that protrude far into the horizon. Over the years, style has had to leave. Cities have been obliged to seek the easiest way to carry the most people. And style has disappeared… Or maybe, in 30 years, someone will look at the buses of that generation, see a bus from today and think that, maybe, there was style back then. 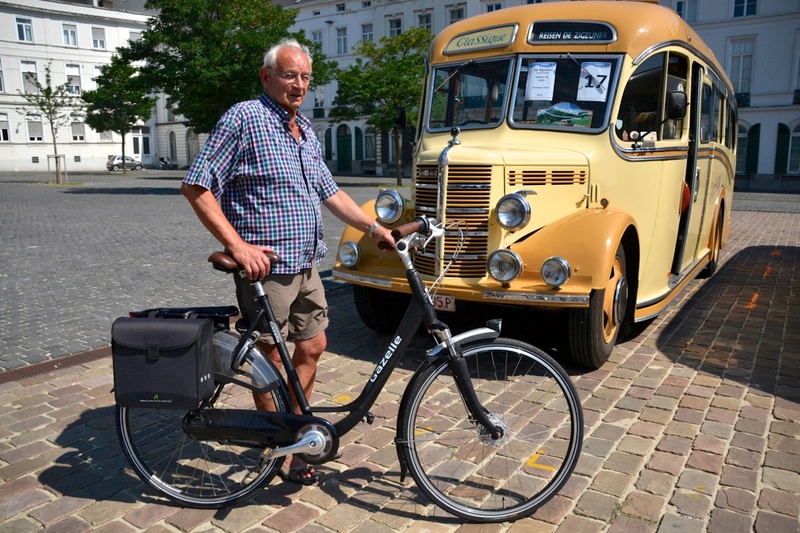 This entry was posted in city bike, Europe and tagged 2015, August, Belgium, Ghent. Bookmark the permalink.